The error is caused by an error in the HTML JScript code of the update page. Attached ZIP file contains the latest firmware, along with instructions and a special HTML file. Reset your 524315 Gigabit Router to factory default values, or, make sure that the LAN IP address of the router is set to the default 192.168.2.1. Open your web browser and connect to http://192.168.2.1. Login the same way you normally do. Note: You must be connected to the router's LAN port. You cannot upgrade the firmware whilst you are connected wirelessly. Click on "BROWSE" and select the file "524315_fw_1.65.bin"
Click "APPLY" to begin the firmware upgrade process. Allow the upgrade process to finish. 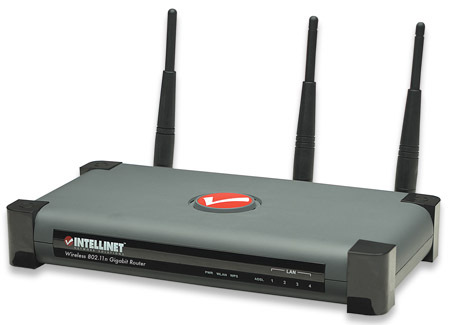 Reconnect to the router at http://192.168.2.1 and verify on the status page that the new firmware 1.65 has been installed. Now, perform a hardware reset via the TOOL -> CONFIGURATION TOOL -> Restore to Factory Default function.